Chairman of Marsa Alam Investors Association Adel Rady said that on Sunday the city of Marsa Alam witnessed the arrival of the first flight from Milan, Italy since 2010. Rady said that Italian tourism has been considered the city’s first market to have declined in recent years. Milan’s flight came on Sunday to announce its return. “There are flights to the city from other Italian cities like Rome and Naples,” Rady was quoted as saying by the privately-owned newspaper el-Shorouk. Neos airline will organize a weekly flight from Milan to Marsa Alam, and the frequency of these flights is expected to increase as demand grows. Rady added that the Italian market now ranks fourth in terms of the city’s numbers of incoming tourists. The German, Polish and Czech markets lead tourism to Marsa Alam. 376,000 Italian tourists came to Egypt last year. Rady pointed out that Marsa Alam receives close to 115 flights weekly. He noted that this number equals the number of flights received by the city in 2010. He added that the prices of hotel rooms in the city are witnessing a significant increase approaching 70 percent. He predicted that occupancy will increase as Easter holidays approach. They begin at the end of April and usually witness a high turnout of foreign tourism. 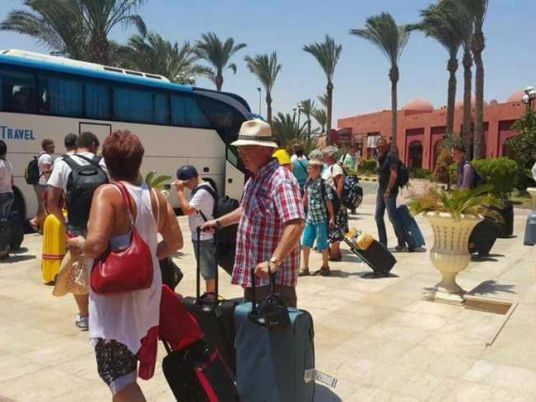 The number of incoming tourists to Egypt reached about 11.5 million last year. The Europeans comprised the largest portion (about 6.5 million), followed by Arabs at about 3 million, Asians at about 600,000, Africans 150,000, and 63,000 from various other nationalities. The German market topped the markets exporting tourism to Egypt. German tourism reached 1.6 million, followed by England with a total of 397,000.